Rob Hamilton | Morrow County Sentinel Mount Gilead’s Xavier Harris was named the Division III Player of the Year in Ohio for the sport of baseball for his efforts this spring. Rob Hamilton | Morrow County Sentinel Khyla Jones of Cardington was picked to the All-Ohio second team for Division III in softball. Mount Gilead’s Xavier Harris capped an excellent baseball season by being named the Division III Player of the Year, not only in the Central District, but also for the entire state. Harris, who was a senior this spring and will attend Grace College (Ind.) this fall to play baseball, was the top pitcher in the Mid-Ohio Athletic Conference. During the regular season, he boasted an 8-1 record with a minuscule 0.34 ERA, as well as 80 strikeouts. He also was fifth in the league in hitting with a .486 batting average. 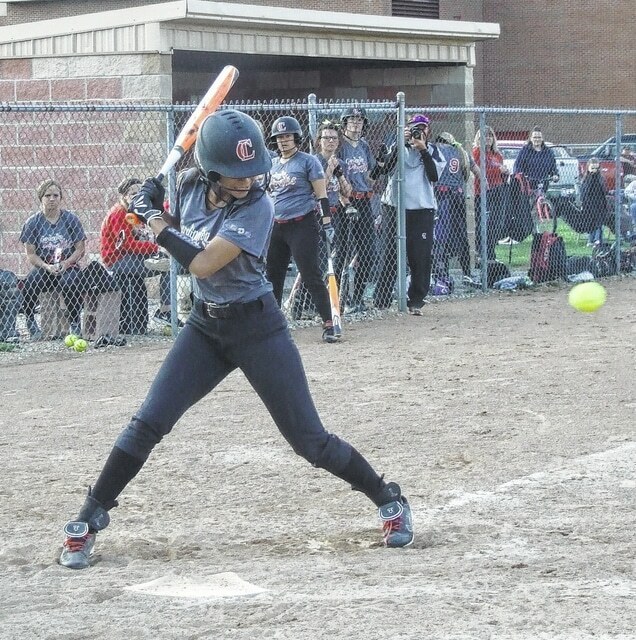 In softball, one local girl also received All-Ohio recognition, also in Division III, as Cardington’s Khyla Jones was picked to the second team. The senior also was present in multiple categories on the MOAC statistical leaderboard. She led the league with 41 RBIs and was fifth with a .855 slugging percentage. Harris and Jones highlighted a large number of Morrow County athletes who represented their schools on the Central District teams. Harris, as said previously, was a first-team baseball player and also earned Player of the Year honors in Division III. Northmor’s Jake Farley joined him on the first team. Ben Hayes of Mount Gilead and Devin Pearl of Cardington were named to the second team, while Dustin Blanton of Cardington, Tyler Conners of Mount Gilead and Brock Trombly of Northmor all received honorable mention recognition. In Division II, Jett Swetland of Highland was named to the first team in the district. Teammate Dalton Stambaugh was picked to the second team, while a third Scot, Byron Belcher, earned honorable mention. All four softball teams competed in Division III, with a total of 11 girls being recognized by the Central District. Jones and Samantha Brininger of Cardington both were named to the first team, as were Megan Oder of Highland and Raygan Walters of Mount Gilead. Kelsey Reeder of Northmor, Brooke Snyder of Cardington and Kelsey Walters of Highland were picked to the second team; while Mikayla Robinson of Highland, Darcy Picker of Mount Gilead, Cristianna Boggs of Northmor and Alyson Adams of Cardington all received honorable mention.